Very First E-Taxi Trial In The Country To Start From Nagpur In May! The project will be undertaken by Nagpur Municipal Corporation and the taxis will be provided by Mahindra and Mahindra, Gadkari Told PTI. 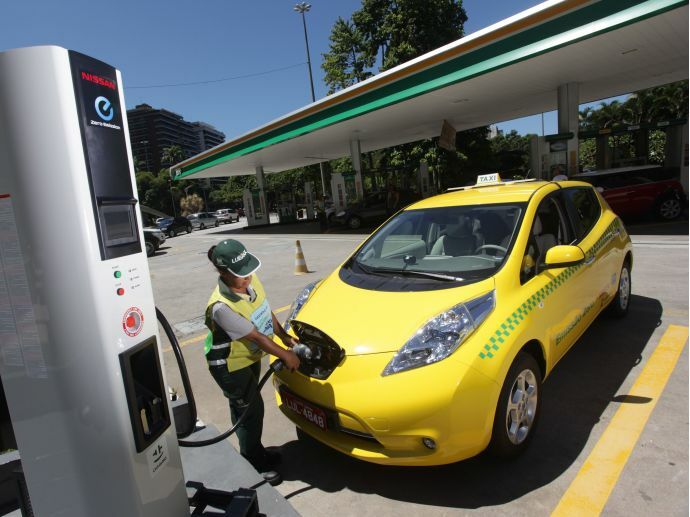 Union Transport Minister Nitin Gadkari has announced that the first electric taxi trial in the country is going to be launched first in Nagpur from May 24. The project will be undertaken by Nagpur Municipal Corporation and the taxis will be provided by Mahindra and Mahindra, Gadkari told PTI. He also added that it is the first project is of its kind in the country. “We wanted to start the project early but there are some problems in setting up charging stations,” he said. Reportedly, this is one of the ambitious projects of the NDA government as it is part it's of UNDP millennium goals. This will also help the government to tackle increasing pollution in the country. It’s been a year since the road ministry is trying to work on pollution reduction technologies and hence this proposal of e-taxis came in the picture! Another great step by NDA government after metro in order to put Nagpur on global map!